How can blockchain solutions assist with a financial institution's and corporation's financial strategy? Are there any realistic blockchain solutions in the marketplace or are they still in the "Proof of Concept" phase? How can one start to learn about blockchain and developed a blockchain evaluation strategy? These questions and more will be addressed by blockchain industry experts who will bring their unique blockchain perspectives and experiences to the Blockchain + Fintech panel discussion. 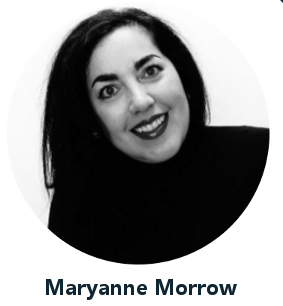 Maryanne Morrow brings more than 20 years as a corporate veteran in the financial, marketing and advertising industries to her role as founder and CEO of 9th Gear Technologies where she is responsible for leading corporate strategy, scaling the company and investor relations. She is a mutual funds specialist, launching a family of funds and architecting fee-based asset management platforms for banks, broker dealers and insurance firms. She was involved in two successful exits (to Standard & Poor’s and BNP Paribas), and also consulted on the custom content and advertising efforts of many financial firms while working at The Wall Street Journal. Maryanne is an active angel investor and an expert on blockchain and cryptocurrency.